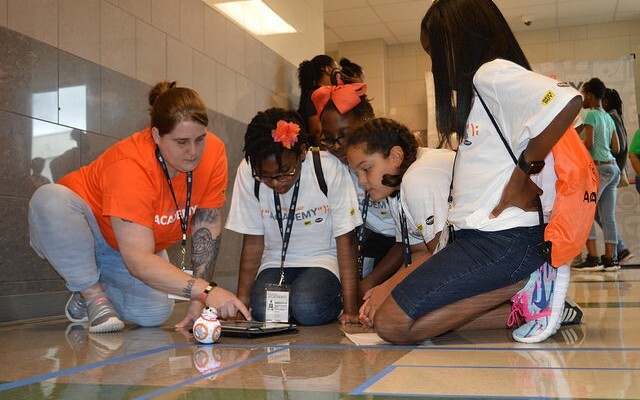 We would like to thank DeSoto ISD, GEAR Up, and Ace for inviting us and hosting Geek Squad Academy for the second year in a row. Jr. Agents learned how to program BB-8 robots, make their own music, remix their own webpages, build a 3D house, and how to be safe online. Thank you again to GEAR Up, ACE , and DeSoto ISD for hosting us and providing volunteers to help us in this event. But most of all, we would like to thank the Jr. Agents for making this camp cool (VERY COOL)!